Bewegungskultur - The culture of human motion is composed of four complementary areas: sports, play, health and expression. A varied, practical sports class is always a combination of these four areas. As we know today, the levels and forms of physical activity during hildhood influence the whole life. It is therefore essential to start cultivating sports and movement at an early age. The mandatory physical education classes provide an ideal framework since all children can be included irrespective of their social and cultural backgrounds. Expressive culture is about perceiving and understanding the body as a means of expression. Non-restricted, creative use of the body is very important, especially in today's high-tech world. It is intended to help children and young people identify with their own movements and bodies. In addition to non-verbal expression, physical education offers an ideal platform on which to address the verbal forms of expression. Mutual respect and fair play form the basis for a good learning environment and for deriving enjoyment from sport and movement. 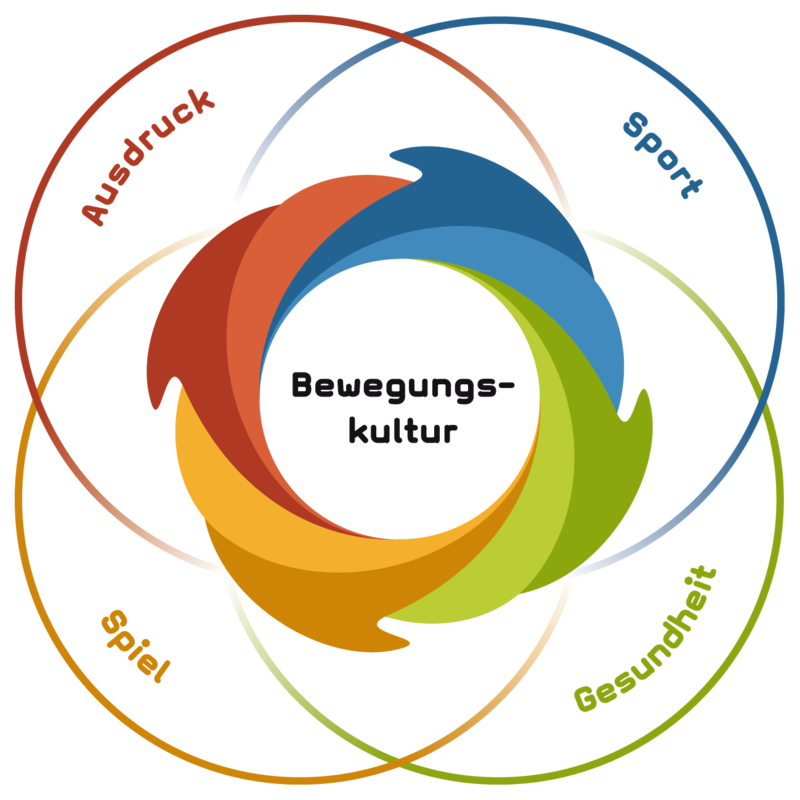 Further information on the movement culture model is available on the Sport Office of the City of Zurich homepage. The practice pool contains a variety of teaching examples in the area of expression.